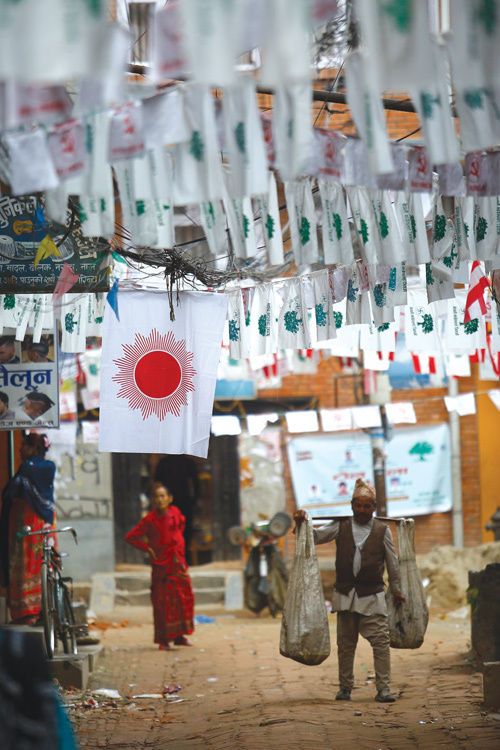 Nepal’s local elections are an important first step towards institutionalisation of the federal democratic structure outlined in the new Constitution. As the first local elections since 1997, they are expected to deliver many positive and ambitious outcomes, such as restoration of citizens’ rights to participate in local governance, enhanced accountability, transparency and accelerated development at the local level, the emergence of new and progressive local leaders, and provisions for a strong foundation for provincial and federal elections. However the question remains, will the elections and subsequent process of state restructuring result in much needed socio-economic development? At a broader level, this relates to the debate in comparative politics and development policies: does democracy lead to development? Or is it the other way round? Development is not just about economic growth or GDP per capita, but also involves social aspects such as health, education and life expectancy, which are commonly captured by the UNDP’s Human Development Index. On a radical level, development is also about inclusion, redistribution of wealth and above all, realisation of human rights. As for democracy, it is a process that goes beyond free and fair elections and includes political and civil rights, as well as accountability of the state towards its citizens. However, democracy does not lead to socio-economic development by default. In fact, until the early 1980s modernisation theorists argued that democracy was the result of economic development, not the other way round, the reason being that economic development creates more middle class families, reduces social polarisation and, with education and urbanisation, societies develop greater tolerance, democratic values and systems. However, the so called Third Wave of democratisation in the late 20th century in many low-income countries, including Nepal, shows that economic development is not a prerequisite for the emergence of democracy. There is, however, a broad consensus that economic development plays an important role in sustaining democracy. In contemporary discourse, democracy is considered to be a key ingredient in accelerating economic development. This is largely embodied in the ‘good governance’ agenda promoted by various donor and multilateral agencies such as the World Bank, ADB and UNDP. Democratic regimes, through their participatory decision-making approach, are expected to generate a greater sense of ownership and ensure policy sustainability. In addition, democratic checks and balances with different forms of accountability mechanisms are said to promote transparent and reliable service delivery and inclusive development. However, in practice there are many challenges to reaching a consensus among numerous competing and fragmented interests. Such negotiations can be time-consuming and often focus on short-term results to please electorates, which can trump long-term vision for development. Hence, many theorists and policymakers argue that authoritarian regimes might be best suited to deliver economic development, as they can ensure stability as well as take and implement long-term decisions beyond electoral cycles. Such arguments are largely based on the experiences of ‘Asian Tigers’ (Singapore, Taiwan, Hong Kong and South Korea) that were able to achieve unprecedented and sustained economic growth from the 1960s to the 1980s under strong leadership and/or one party systems. Similar arguments are used to explain rapid economic development in China and Vietnam. However there are also plenty of countries, including Nepal during the Panchayat system, where authoritarian regimes have failed to deliver economic development and prosperity – while countries like India, Brazil and South Africa have managed to achieve high economic growth despite being democracies. There is no conclusive answer about which form of regime can best guarantee economic development, as it is highly context specific and largely dependent upon the individual state’s vision and strategies for growth. But if development is considered not just in economic terms but also as a realisation of social, political and civil rights, then democracy does offer greater opportunities. Considering the prominence of democracy as the most acceptable form of government in countries like Nepal, it is important to assess how it can be made more effective to deliver inclusive and equitable development. The contemporary Nepali democratic regime is largely characterised by personality-driven politics, patronage systems, endemic corruption and lack of public trust in formal democratic institutions, including major political parties. At the same time, public dissent is increasingly manifested through grassroots movements, civil society and the creation of alternative political parties. Democratic elections, therefore, do offer an opportunity to challenge the status quo, with wider implications for socio-economic development and consolidation of democratic political culture. "Armed struggle is not a hobby"
"We will not stay in this new mechanism"